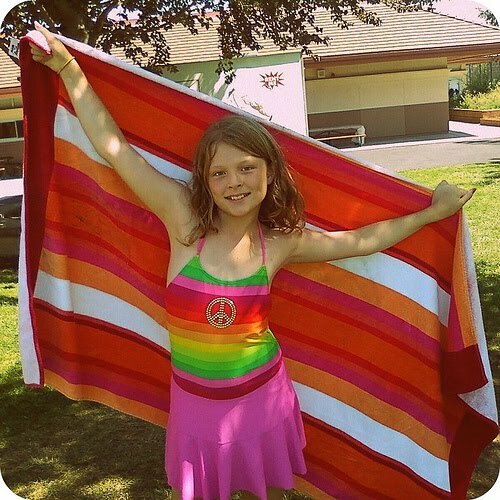 This was The Pea at her very first Galileo Summer Quest camp. She was an incoming 5th grader, and she had the time of her life learning to design and sew her own outfits. GSQ is where she first learned how to use a sewing machine. She's now an incoming 8th grader, and one of her hobbies is designing and sewing outfits for dolls. She also continues to wow her friends and classmates with her creative Halloween costumes. It has been three years, and she STILL uses the skills she learned at that camp! 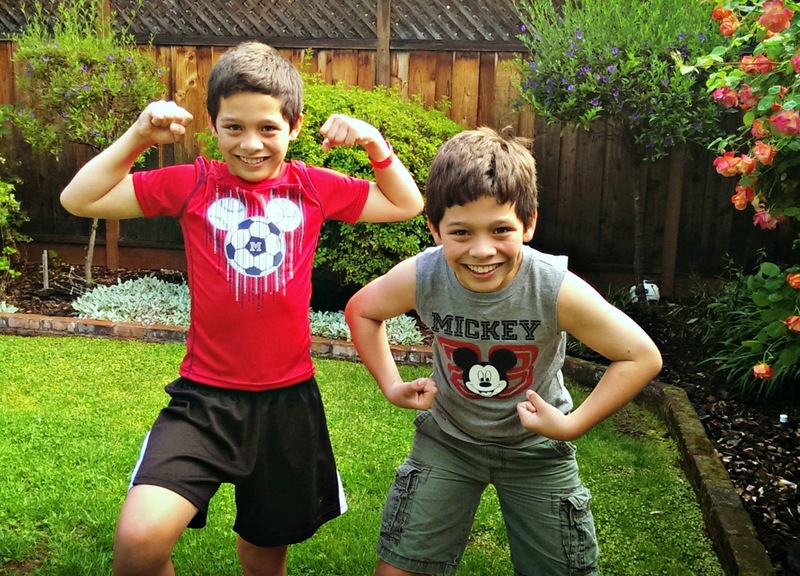 This summer, it's my boys' turn. Jammy and 3Po have been dying to try Galileo Summer Quest ever since that first summer when their big sister had so much fun. 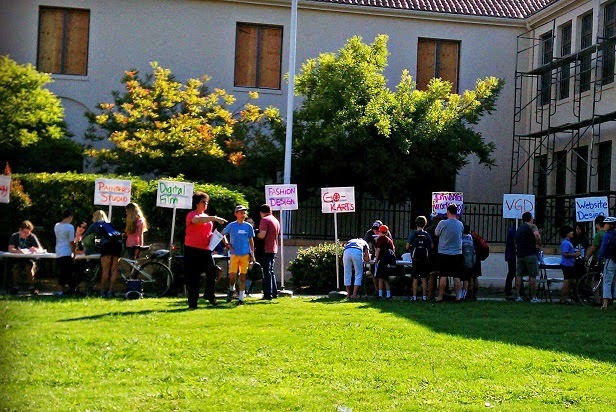 We would drop The Pea off at GSQ, and they would see check-in tables welcoming campers to some of the coolest, most interesting activities ever. Videogame design! Digital photography! Cooking! Go-kart making! Each GSQ major is designed to help kids delve deep into a subject they're interested in, for the entire week. At the end of the week, they will have learned some pretty interesting things about their chosen major. They will have completed a significant project in that field. 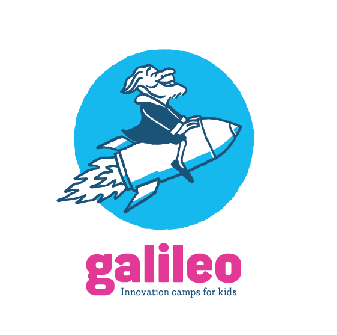 And they will have immersed themselves in the Galileo philosophy of innovation, trial and error, experimentation, and collaboration. No wonder 3Po and Jammy can't wait! This is the wonderful thing about what Galileo Summer Quest did for The Pea, and what it could do for 3Po and Jammy-- even just a single week's immersion in a subject they're interested in could lead to something bigger. It could become their hobby, their passion. If just one week can do that, imagine what a whole summer could do -- it could help shape what they do in middle school, high school and beyond! Check out all of Galileo Summer Quest's awesome summer majors available to kids entering grades 5 through 8. They have 18 camp locations scattered throughout the Bay Area, so chances are you'll find one near you! Disclosure: I received a free week of camp for two, as a thank you for writing a series of posts about Galileo Summer Quest. The views and opinions expressed here are my own. When you're a small business, getting the word out about all the great things you do isn't easy. You'd love some word-of-mouth around your neighborhood, and you'd love some buzz about your business online, but it seems like a catch-22: in order to generate buzz, you need people talking about you, but you're just starting out and you don't know many people..
With AdvoWire, you get to set your targets (audience, industry, region, timeline, etc..). You get to specify content for each social media outlet you want to leverage. And you get to set a budget that you'd like to spend. For more details, go to AdvoWire, and see how AdvoWire can help you! I have been a loyal Sprint customer for almost 15 years! I have never been tempted in the slightest to change providers because Sprint has always offered me exceptional value for my money and great customer service. That's why I'm excited to announce that I've been named as a Sprint Ambassador for the next 12 months! As a #SprintMom, I'll be trying out various Sprint devices and service options, and sharing my opinions with you. With the Sprint Framily plan, you and up to 10 friends, family members, and even coworkers and parents from the soccer team can be a part of a Framily group with unlimited talk, text and 1GB of data each, while on the Sprint network. Each of the members on the Framily plan receives a separate bill with no annual service contracts or early termination fees, all for as little as $25 a month per line when you have 7 – 10 members in the Framily group. How cool is that? With the five of us, we would pay just $35 per line, per month. If we found just 2 more people, the cost per line would go down to $25 per month! I could still keep my Unlimited Data by paying an extra $20 per month, just for my line -- everyone else can stay on 1GB data (hey, I work in social media, I need unlimited!). What a great way to save! Need more incentive to join the Sprint Framily Plan? How about some great discounts? One lucky Bonggamom Finds reader will win an HTC One Max smartphone! 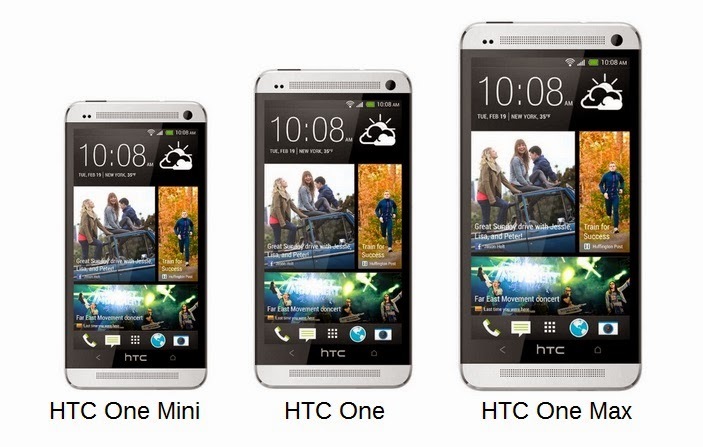 This is the latest and largest device in the HTC One family. I've had my HTC One for over a year now and I love, love, love it! To whomever wins this device, you are one lucky, lucky person! Leave a comment on this post and list down everyone who would be in your Sprint Framily plan. How much would you end up paying per line, per month? This giveaway ends at 11:59PM PST on May 5, 2014; I will draw a winner at random, on May 6 and post their name after they confirm acceptance. Continental US residents only. For additional giveaway rules, click here. 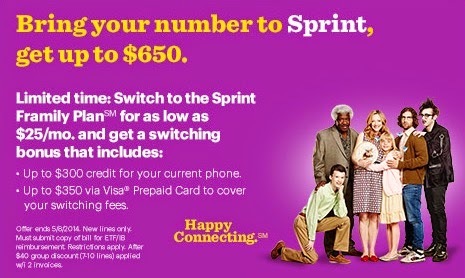 Disclosure: I participated in a campaign on behalf of Mom Central Consulting (#MC) for Sprint. As a #SprintMom, I will be receiving product samples to facilitate future reviews and to thank me for participating. The views and opinions expressed here are my own. I'm always up for trying new cereals, but Alfie is pretty set in his ways. I think he gets it from his dad, who has been eating the same bowl of frosted flakes or rice krispies practically every morning of his adult life (he'll be eighty-two in a couple of months). I end up loving most of the cereals I review, but Alfie always goes back to his favorite 3 or 4 kinds. So when he says he likes a new cereal, I take notice. Lately, Alfie's been raving about Post's new line of Honey Bunches of Oats' Morning Energy cereal (we received the first box for review; I purchased the next 6 boxes and will be purchasing all future ones). He swears the Chocolatey Almond Crunch is the best cereal he's ever tasted. He doesn't usually go for cereal with chocolate bits; he says the chocolate tastes fake and besides, chocolate isn't exactly the best breakfast food choice. But he definitely loves this one! And you can't deny that 6 grams of protein and 5 grams of fiber per serving is a good breakfast choice. It looks like we've got a new staple in our cereal cabinet! Honey Bunches of Oats recently launched a new variety – Honey Bunches of Oats Morning Energy. The new variety comes in two delicious flavors – Chocolatey Almond Crunch, which includes delicious chocolatey morsels and almond slivers and Cinnamon Crunch, which is packed with sweet, crunchy cinnamon clusters. New Honey Bunches of Oats Morning Energy Chocolatey Almond Crunch combines chocolatey goodness and almonds for a delicious taste the whole family will love, along with 6g of protein and over 2/3rds of your day's whole grain to help energize your morning. I'll admit it, I'm a photo person. I love taking photos at events and vacations, and I love looking at them afterwards. I love bringing back all the memories, and I love seeing how we have grown and changed through the years. The problem is, I'm not a great photographer, and I don't have the best equipment (I get tired of lugging our DSLR around, so I mostly rely on my smartphone! ), so my photos don't end up looking all that great. And as the family's official photographer, I never end up in any of the photos. That's why I think Disney's PhotoPass service is so great. You can get your photo taken by PhotoPass photographers all around the Disney parks, and they give you a PhotoPass card so you can claim your photos online. You can edit your photo online and add cute Disney-themed borders. You can purchase photo prints, photo gifts, and photo downloads of any, all, or none of your photos. The photographers do a great job capturing your family at the most pictureque spots. They can even do "magic shots" that superimpose Tinkerbell or a fun element like balloons into your shot! 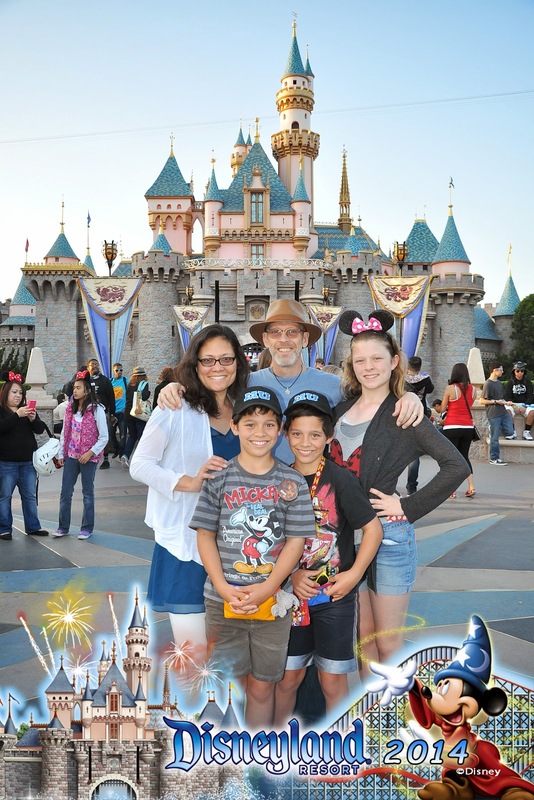 We used PhotoPass+ for the first time on our recent vacation at the Disneyland Resort, and I can't tell you how great it felt to get ALL of our photos -- and how happy I am with them. It's a real treat to have such precious keepsakes from our vacation. The PhotoPass+ photographers captured some beautiful photos of us! 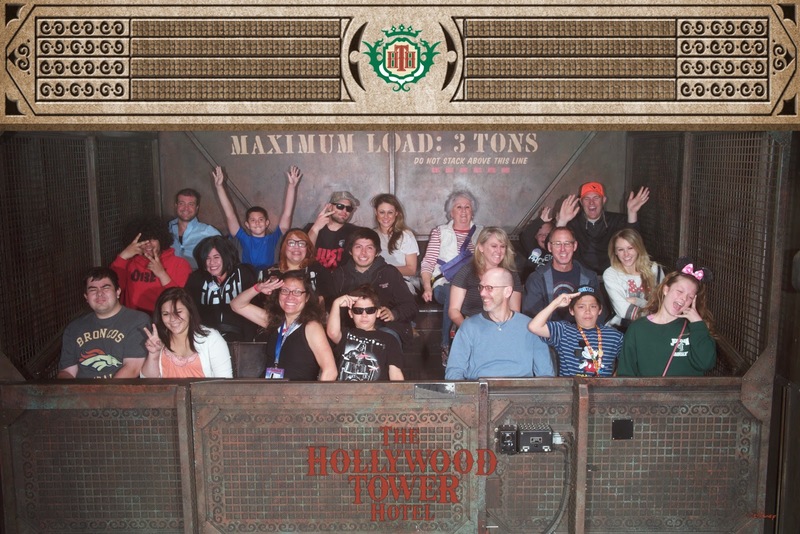 We were able to get thirteen ride photos in less than 3 full days at the park! 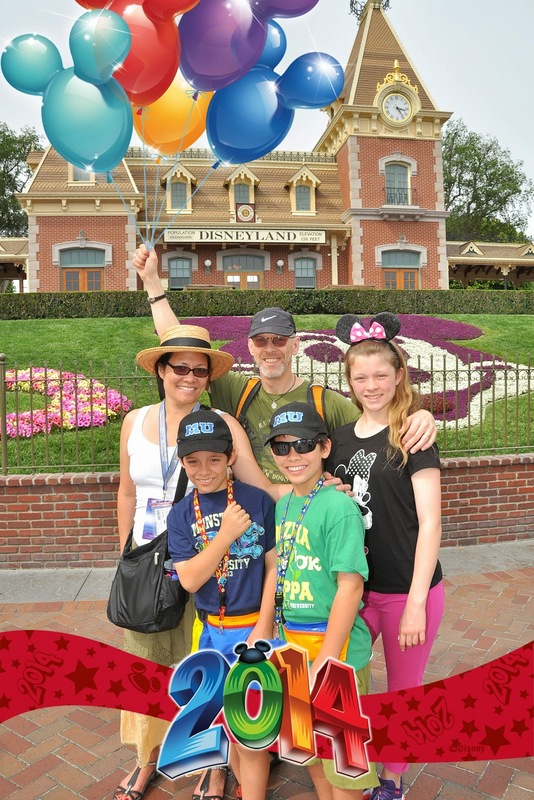 Order your PhotoPass+ package online, at least 14 days before your vacation ($69.95*). If you can't meet the 14-day deadline, you can purchase PhotoPass+ for $99.95 at a PhotoPass Sales Center at the Disneyland Resort. If you've purchased in advance, Disney will mail your PhotoPass+ package to your home. It includes a PhotoPass+ voucher, PhotoCD voucher, and a Photo Gallery CD. If you've purchased in advance, you can keep your PhotoCD voucher and Photo Gallery CD at home. You won't need those while you're on your Disneyland Resort vacation. 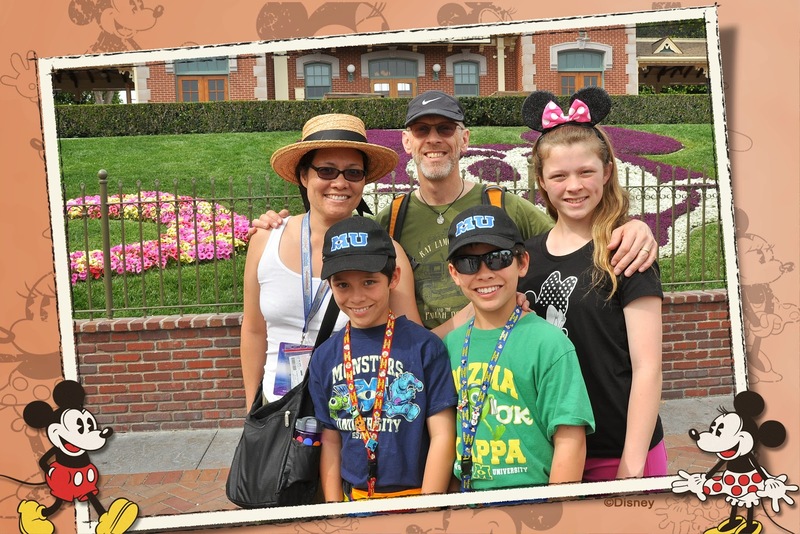 Take the PhotoPass+ voucher with you to the Disneyland Resort. Once you arrive at the Disneyland Resort, take your PhotoPass+ voucher to a PhotoPass Sales Center and hand it to a Cast Member. He or she will exchange your voucher for a special PhotoPass+ Card. 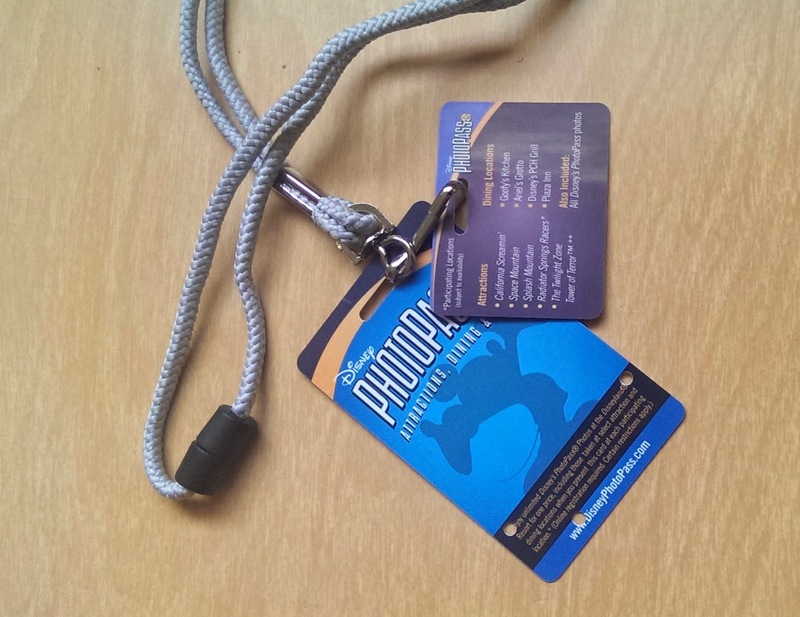 Ours came with a lanyard and a card listing all the attractions and dining experiences we could use the card at. Keep this card safe. They'll give you a receipt for the card so if you lose it, you can replace it, but you can only replace it once. After you're done with an attraction that offers photos, go to the photo preview area and take note of your photo number. 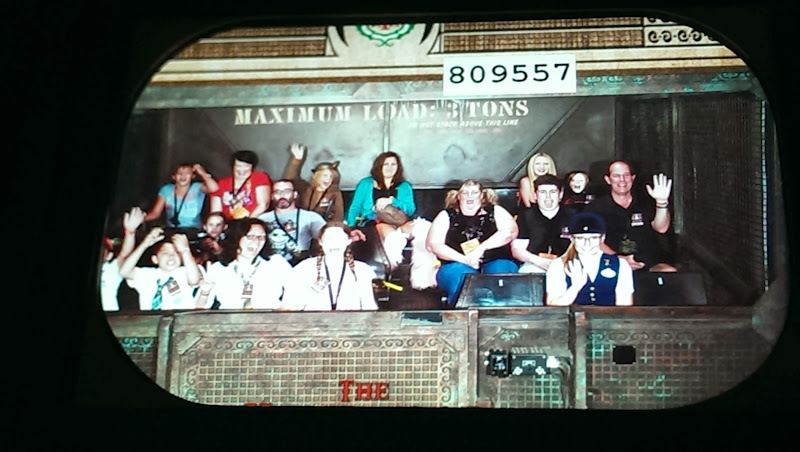 Tell the Cast Member your photo number, and when he/she brings it up, verify that it's indeed your photo. Give your PhotoPass+ Card to the Cast Member so he/she can scan it, and the photo. Go online to disneyphotopass.com and create an online PhotoPass account (you can do this at night or after you get home from your vacation). Enter the code on your PhotoPass+ Card to claim your photos and associate them with your account. 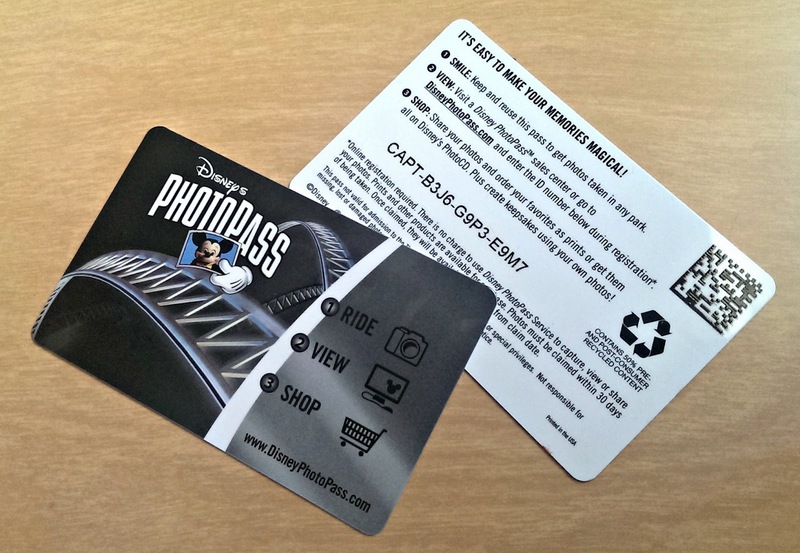 You can also enter the codes from any other PhotoPass cards you used while on your vacation. Once you've claimed all your photos, you can edit them and add all kinds of cute Disney-themed borders. Note, you cannot add Disney-themed borders to any attraction photos. Once you've edited to your heart's content, it's time to order your photos! 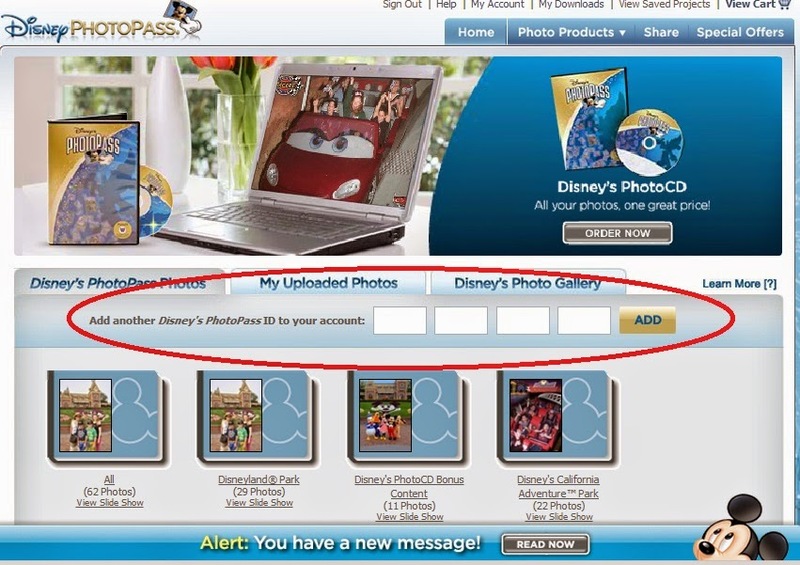 Place a Disney's PhotoCD in your cart, and enter the code in your PhotoCD voucher into the Promotion Code field on the shopping cart page. This will remove the cost of the PhotoCD. Then complete the checkout process. You can chose to have a CD mailed to your home, or you can choose to download the photos. Make sure you do this within 30 days of having your first photo taken, otherwise they will expire from your account. Is a PhotoPass+ Worth It? That's a total of $159.95. PhotoPass+ costs $69.95 with 14-day advance purchase, $99.95 otherwise. It's simple math. The real question is, do you really want everything that's included? Now that is a tricky question, and it all depends on how much you value high quality vacation photos, with you, the photographer, in the shot. Remember, the PhotoPass photographers are also happy to take group photos with your camera -- but they may not know the setting, and I'm betting your smartphone camera won't produce the same results as the photographer's nice equipment. Let's look at this another way. 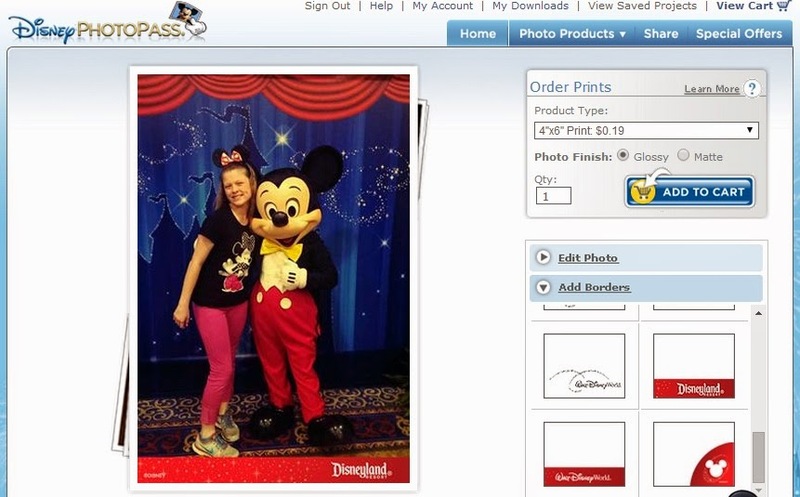 Individual photo downloads, whether it's an attraction photo or a photo taken by a PhotoPass photographer, cost $14.95. If you think you'll only want one or two photos, I recommend purchasing them individually for $14.95 each. 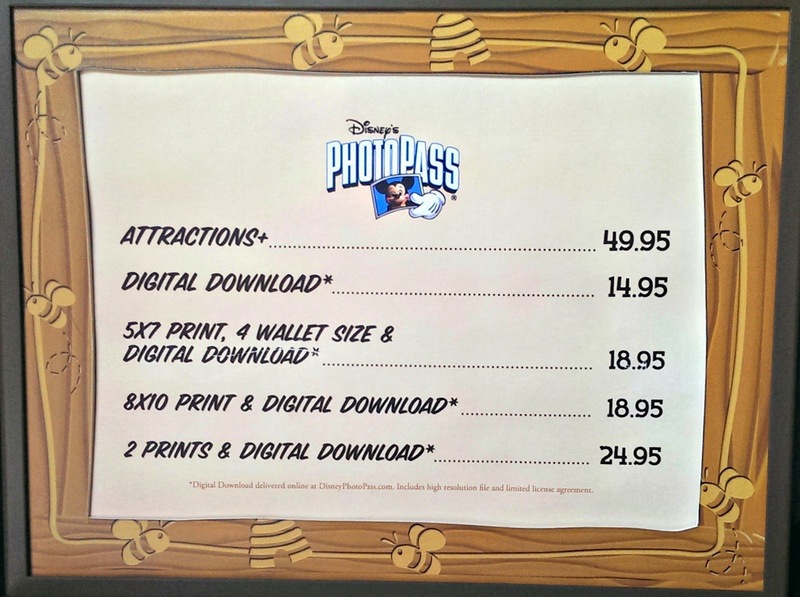 But it only takes 5 photo downloads to break even on the $69.95 Photo CD, and if you're going to do the Photo CD, you might as well purchase the PhotoPass+ in advance for $69.95! You'll be getting the PhotoCD and Attraction+ packages, all for the same price as a PhotoCD! Even if you don't purchase in advance and pay $99.95, it only takes 7 photos to break even. I'm sure there will be way more than 7 photos you're going to want to keep -- especially if you've booked character dining experiences! Two more factors to help you decide: the length of your vacation and how often you visit. You may not want to buy a PhotoPass+ for a 1-day visit, but the longer you stay, the more photos you'll take. And if f you're not likely to visit the Disneyland Resort in another 3-5 years, I definitely recommend purchasing PhotoPass+. Your kids will look completely different the next time you visit, and you'll want some great photos to capture all those memories. Purchase your PhotoPass+ online at least 14 days before you arrive at the Disneyland Resort. You get a significant discount -- $69.95 when you purchase in advance, versus $99.95 when you purchase at the Disneyland Resort. The 14 day period is to give them time to mail you the PhotoPass+ voucher and PhotoCD voucher. 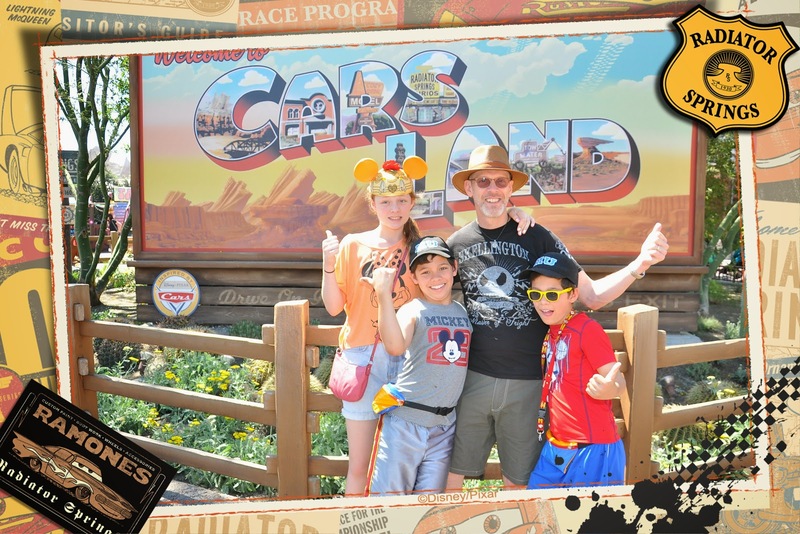 You don't need your PhotoCD voucher until after your vacation, but without the PhotoPass+ voucher, you won't able to get your PhotoPass+ card and you won't be able to take advantage of unlimited attraction photos or unlimited dining photos. Once you redeem your PhotoPass+ voucher for a PhotoPass+ Card, you have 14 days to use it before it expires. Take a photo of each PhotoPass card you collect. That way, if you lose the card, you still have the code to load your photos into your PhotoPass account! This may seem obvious, but it bears repeating: take as many photos as you want! PhotoPass photographers are happy to take multiple shots to make sure you're looking your best. And sometimes ride photos don't come out the way you want (i.e. closed eyes, weird expressions, other people blocking your face, etc..). If your party splits up while in the parks, the group that does not have the PhotoPass+ Card can still have their photos taken by PhotoPass photographers. They can get a regular PhotoPass Card for the photos they have taken, and add those to your online PhotoPass account later. HOWEVER, they will NOT be able to add any attraction photos. Only the bearer of the PhotoPass+ Card will be able to get ride photos scanned in. You have 30 days from the time you take your first PhotoPass photo to claim the photos and order any photo products, including photo gifts, prints, and downloads. After 30 days, the photos will expire and you will not be able to get them back. If you tend to procrastinate or can't make up your mind about what to order, you can purchase a 15-day extension for $19.99. You can upload your own photos to your online PhotoPass account (from your computer or from Facebook) in order to add Disney-themed borders -- but the border styles are extremely limited, and you won't be able to download the enhanced photos. All you can do is order 4"x6" prints ($0.19) or sticker sheets ($9.95). 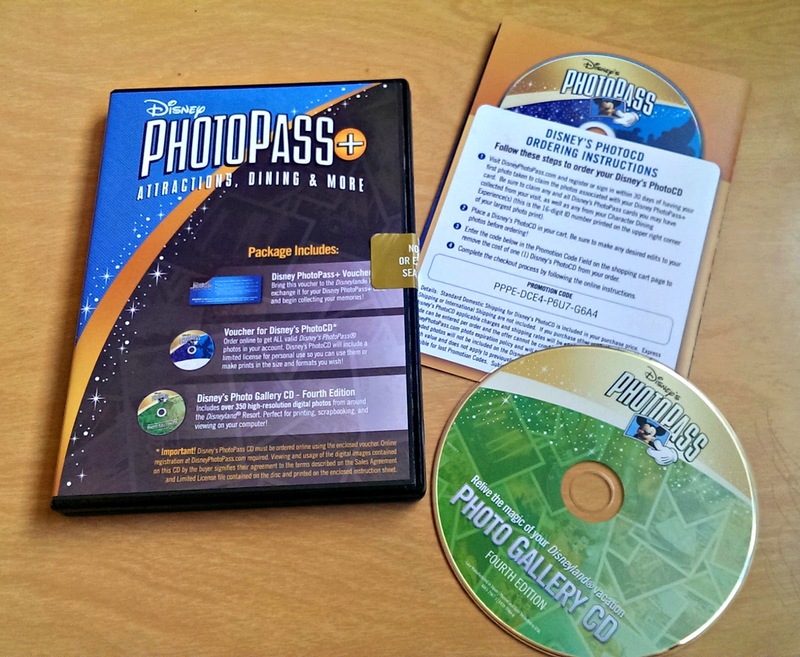 You don't have to wait for Disney to burn and mail you a PhotoCD with all your PhotoPass photos. You can select the Download option when you check out, and your photos will be loaded onto a zip file (if you have lots of photos, they may split it up into multiple zip files) and placed in the "My Downloads" section of your online PhotoPass account. 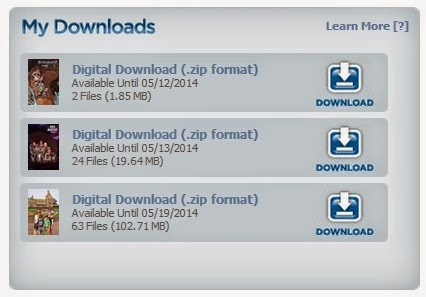 Note that each file has an expiration date -- don't forget to download before the expiration date! * Note: All prices on this post are current as of April 2014. Prices may change without notice. Prices are valid only for attraction photos and PhotoPass+ at the Disneyland Resort; prices at Walt Disney World may be different. Disclosure: I purchased a Disneyland PhotoPass+ at my own expense. The views and opinions expressed here are my own. Everyone loves a good home cooked dinner, but sometimes you just find yourself in a time crunch. French's, makers of the famous yellow mustard (as well as French's Fried Onions! ), have come up with a great solution: French's Crunch Time Entrees. 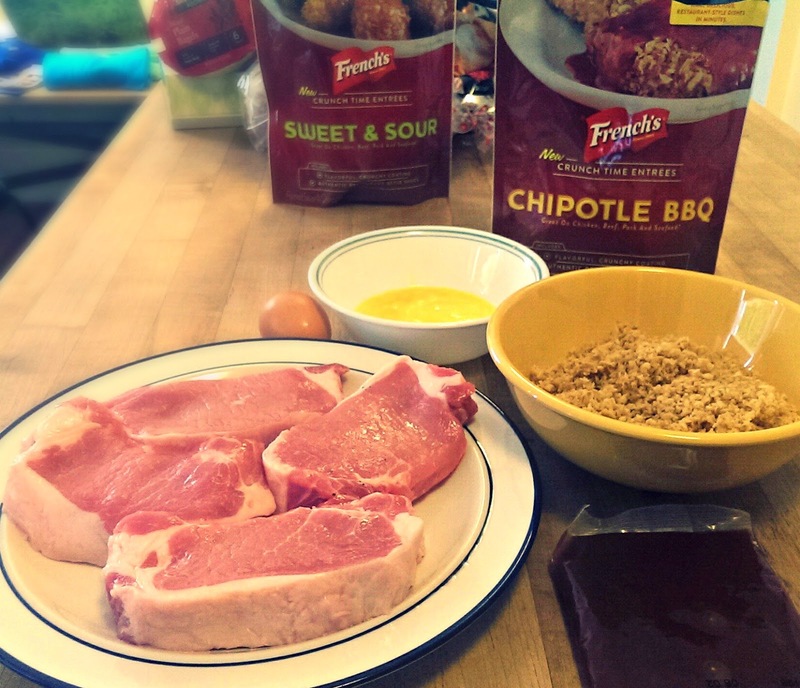 Each meal helper kit includes a seasoned crunchy coating pack to coat your favorite meat in, as well as a sauce packet that tastes so good, you'd think it came from your favorite restaurant. No need to measure out breadcrumbs and spices, no need to simmer the sauce, you've got a yummy dinner in less than 30 minutes! French’s, makers of America’s number one brand of mustard, debuts French’s new Crunch Time Entrées which offer restaurant-style meals in minutes in the comfort of your own kitchen. The new products are now available at select retail grocers nationwide in four delicious flavors: General Tso’s, Buffalo - made with Frank’s® RedHot®, Sweet & Sour and Chipotle BBQ. Crunch Time Entrées comes in a red pouch that includes a four-ounce packet of flavorful, crunchy coating and a four-ounce packet of authentic restaurant-style sauce, perfect for a family of four. Consumers who tried the product reported that they were surprised and delighted to find the taste came so close to their favorite restaurant dish that they thought their families would never even notice the difference. French’s Crunch Time Entrées are versatile enough to use on any main dish protein, such as chicken, beef, pork and seafood—the culinary combinations are endless! French’s Crunch Time Entrées have a suggested retail price of $3.49 each. 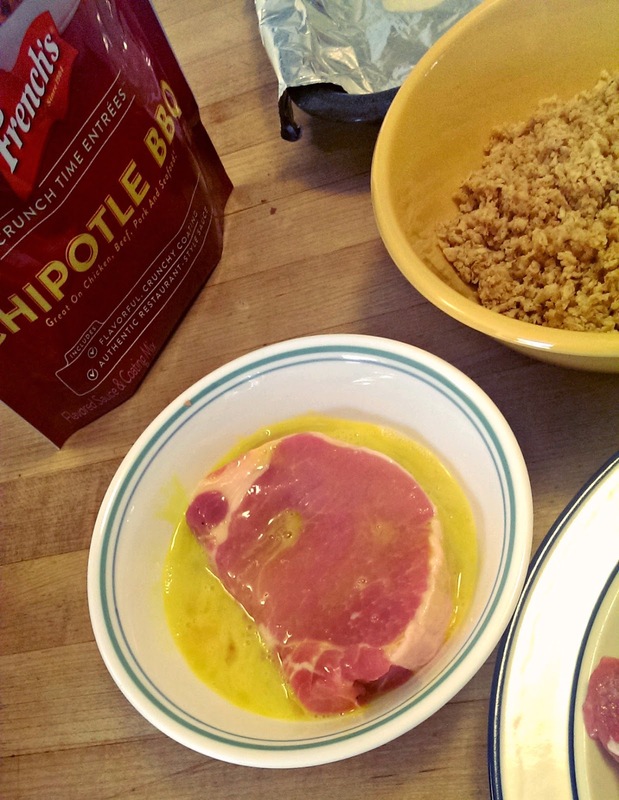 In addition to the French's Crunch Time Entrees pack, you will need 4 servings of chicken, beef, pork, or seafood, 1 lightly beaten egg, and 2 tablespoons of flour (the photos and descriptions below apply to the Chipotle BBQ variety but the process is similar for all varieties). Dip the meat in the beaten egg. 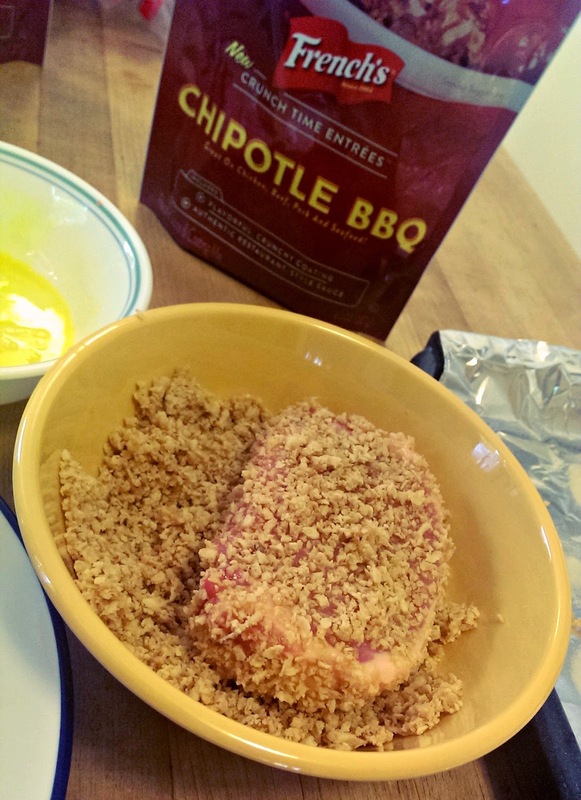 Mix the Crunchy Coating (found in the French's Crunch Time Entrees pack) with the 2 tablespoons flour, then dip the meat in the mixture. 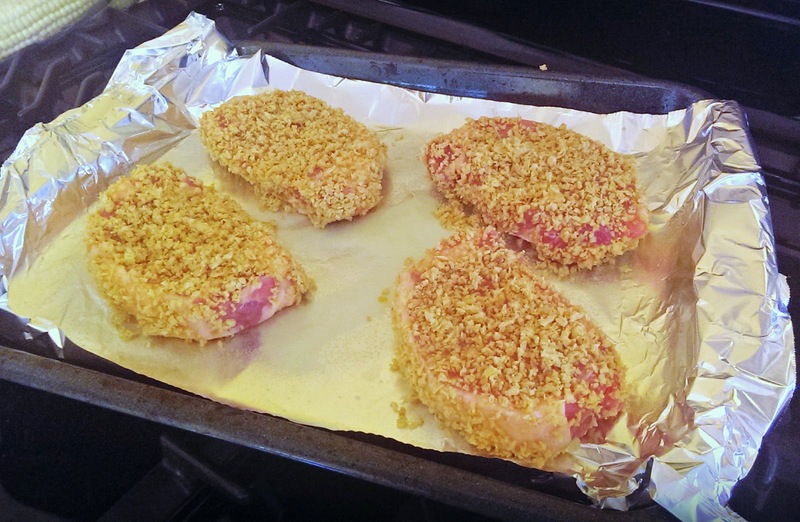 Arrange the meat on a lightly greased baking sheet and bake in an oven that has been preheated to 400 degrees F.
Bake 20-25 minutes until golden brown and cooked through. I actually let mine stay in for 35 minutes because my pork chops were on the thick side and they still seemed a bit tough after 20 minutes. 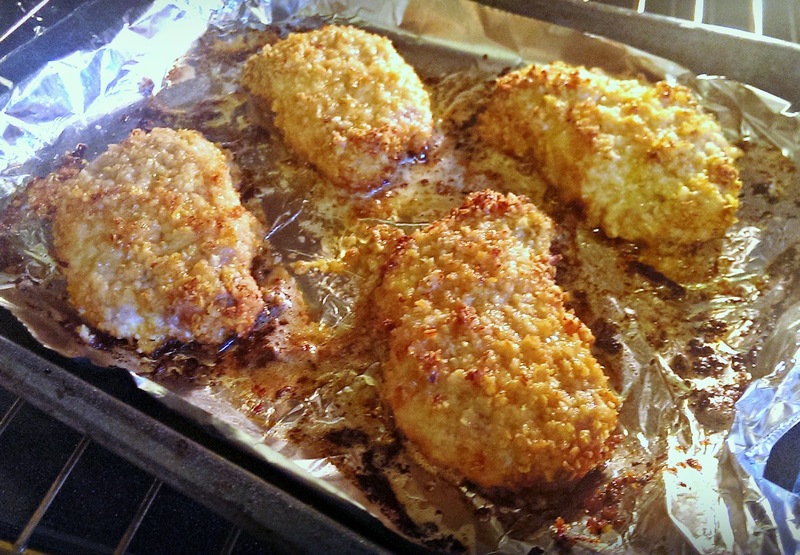 After 35 minutes, the crumb topping was golden brown and the inside was flavorful and tender! The whole family enjoyed our Easter meal. 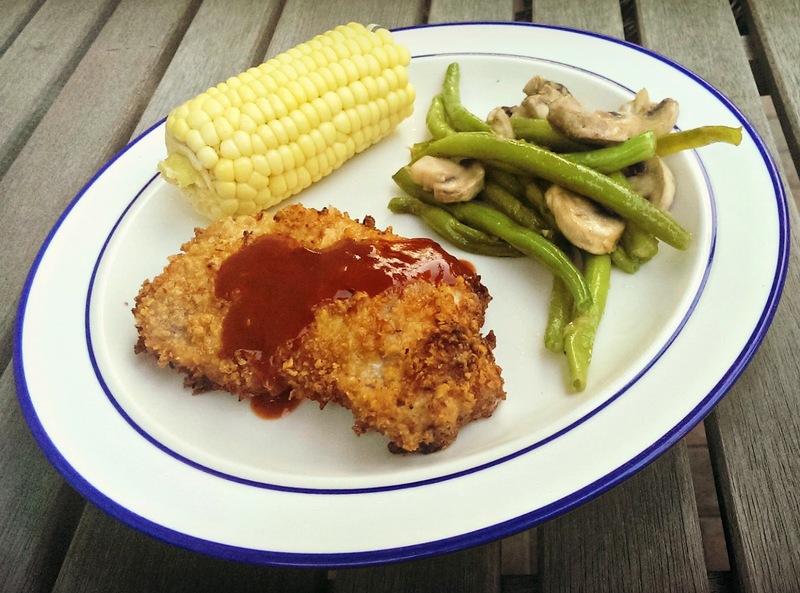 Some of us drizzled the Chipotle BBQ Sauce (included in the French's Crunch Time Entree packet) but others found it a bit spicy and used regular BBQ sauce instead. It was delicious, and so easy to make! Disclosure: I received samples for review. Product information (in italics) is provided by French's via the Bender Group. The views and opinions expressed here are my own. It's Easter weekend, and it's time for Spring Break! Do you have any road trips planned? On our spring break last week, we enjoyed lots of little day trips to San Francisco, the Jelly Belly factory in Fairfield, and the Lawrence Hall of Science in Berkeley. And because we test-drove a Kia Cadenza that week, we enjoyed the drive almost as much as the destination itself! 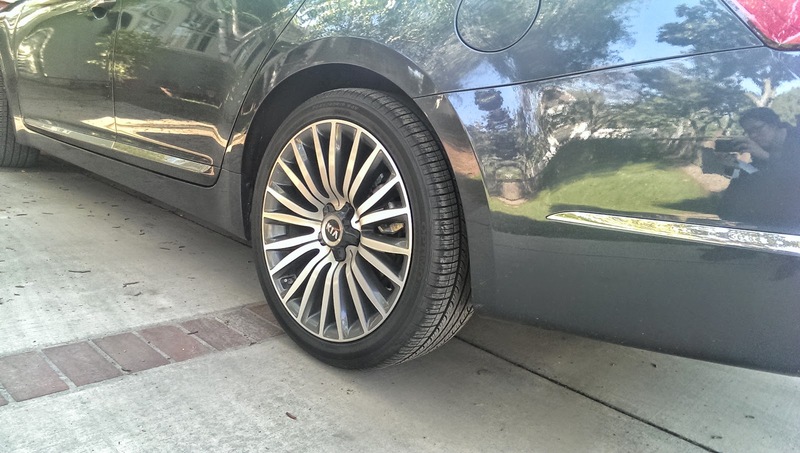 The Cadenza is Kia's top of the line sedan. If you're used to thinking of Kia as a maker of value-priced options, it's time to take a second look -- with all the bells and whistles, the Cadenza can easily top $40,000 -- but you get so much luxury and performance for your money. The car is styled like a beast, with a mean-looking front and beautiful wheels. My self-proclaimed luxury car expert, Jammy, immediately recognized the Cadenza's luxury status. "Wow, this is an expensive car! ", he said. It certainly drives like an expensive car. There's so much power in the Cadenza (3.3L V6 engine with 293 HP), you only have to tap the accelerator and it sprints forward. All week, the sheer joy of driving this car kept me zooming forward, and I constantly had to check myself and slow down or risk hundreds of dollars in speeding fines! All that power does come at the price of fuel economy, but at least the Cadenza takes regular, not premium, fuel. The interior is just as luxurious, with soft leather seating, beautiful wood paneling and trim. 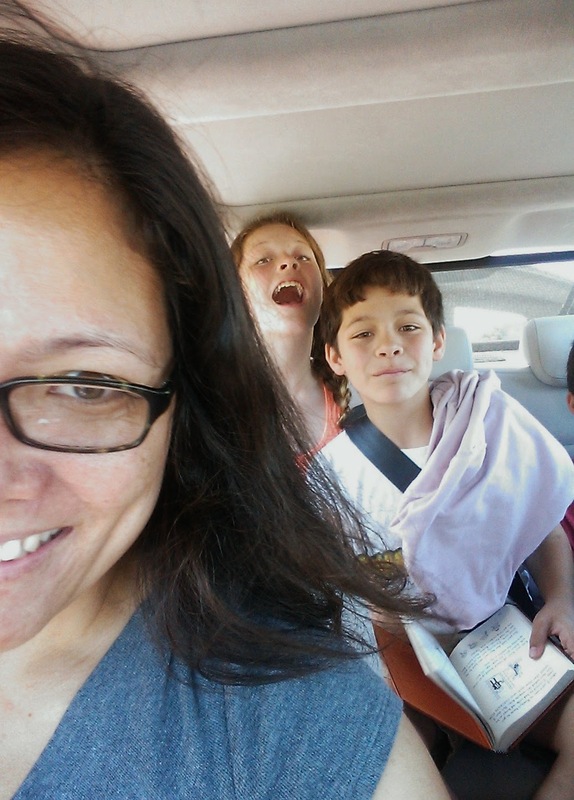 The car is wide enough to seat my 3 kids comfortably for hours without squirming or complaining that they're encroaching into each other's space. There's lots of legroom for the driver, passenger, and back row. 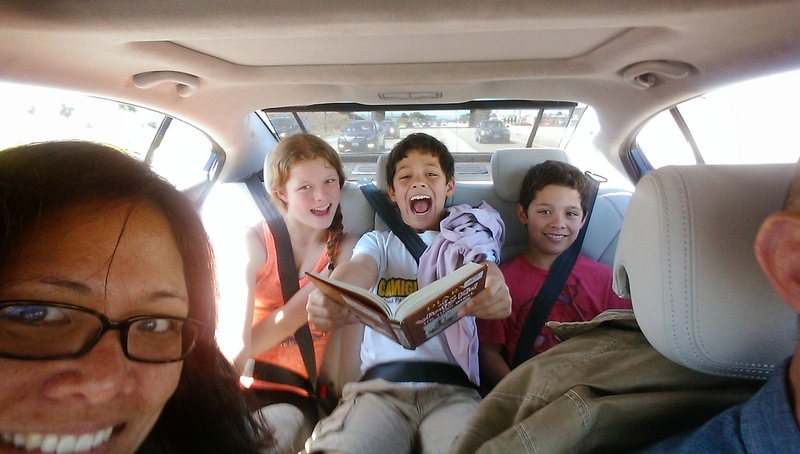 The kids loved the little hidey-hole in the back seat that opens up into the trunk -- great for accessing snacks on road trips, or for lacrosse sticks and cellos during the afterschool carpool. 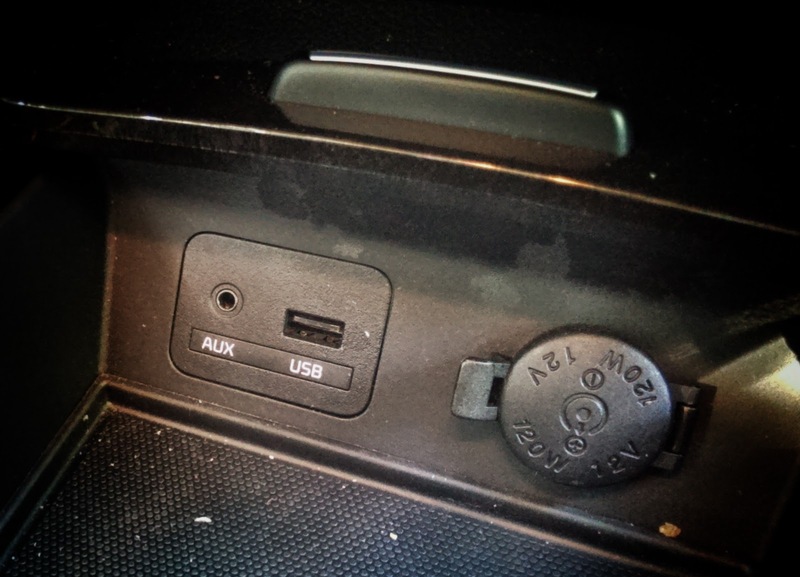 Our only disappointment with the interior was the scarcity of USB ports -- everyone has their own devices on road trips, so we need lots of USB ports, especially some in the back, for charging! The quality of the audio system was amazing, and we had many happy sing-along sessions in the Cadenza to entertain ourselves during our drives! 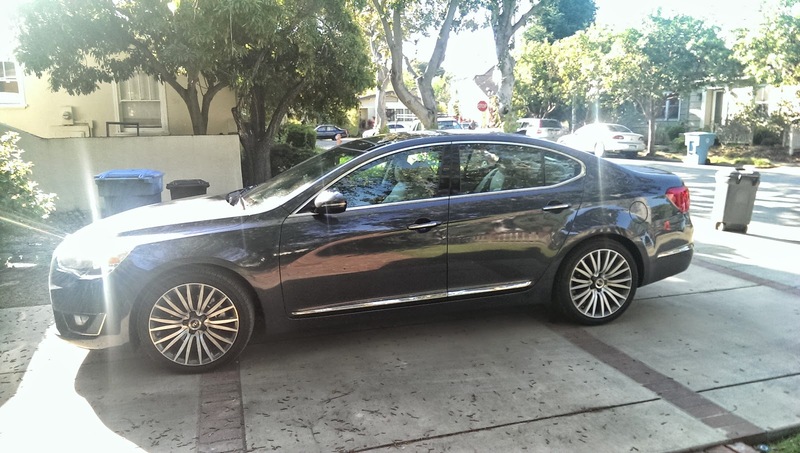 It was truly a pleasure to drive and ride in the Kia Cadenza. The Cadenza took away all our discomfort on those long spring break road trips, so we were able to relax, enjoy the ride, and enjoy each other as a family. And after all, isn't that what Spring Break is all about? Disclosure: I received a loaner car for review purposes courtesy of STI. The views and opinions expressed here are my own. This year's Disney Social Media Moms Celebration was an amazing event, and it would not have happened without the help of some amazing organizers... and some amazing sponsors. I haven't even begun writing recap posts of the event, but I knew I had to give the conference sponsors a big Shout Out and a huge Thank You for all they did to make this event happen! Getting the right sponsors can be a tricky thing. I know sponsors do attendees a huge service by helping to foot the bill, but you want a sponsor that will enhance the conference experience for everyone, not just subsidize it. It can be all too easy for a conference attendee to be turned off by a sponsor's pushy sales pitch, tacky swag, or insane demands for coverage. I can tell you here and now that this was NOT the case with any of the sponsors at DisneySMMoms. To begin with, I was impressed with the quality of the sponsors; they're all trusted and respected brands whose products and values I happen to admire. I was also impressed at how the organizers carefully selected sponsors who were a great fit with the conference events, and an even better fit with the conference attendees. I was happy that they recognize the influence of parents in social media. I was happy that they respected us enough to trust that we would get the word out about their products and services in our own time and in our own way, without any requirements on their part. And to be totally honest, I was thrilled at the attention they lavished on us! 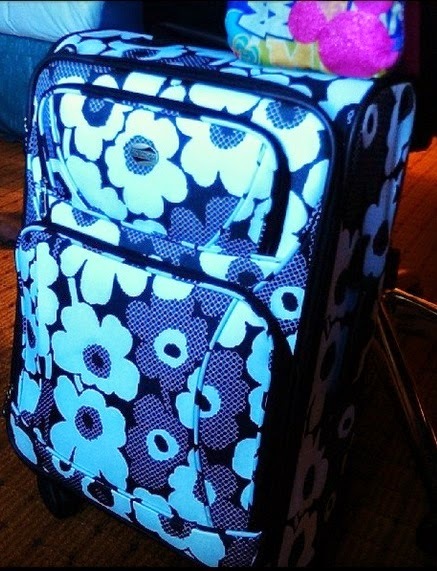 The magical surprises began even before we left home -- American Tourister, the official luggage of Walt Disney World and the Disneyland Resort, sent us a gorgeous spinner suitcase from their Color Your World collection. We also had the opportunity to check out Kohl's new Disney-themed kids' clothing collection, Magic at Play, and pick up a few items to wear at the parks. The conference did not have an expo floor, but during conference check-in, attendees had the opportunity to check out some booths run by Disney Wild About Safety, Disney Interactive, Disney Citizenship, Taylor Morrison, ESPN Zone, and New Balance. 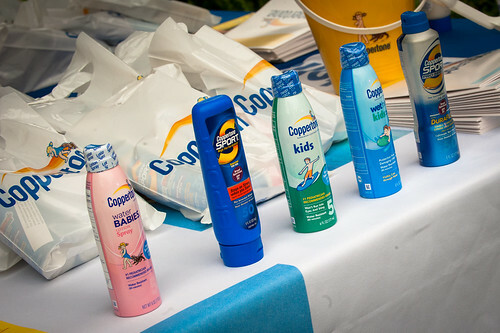 The welcome reception on Thursday was sponsored by Coppertone, who were showcasing some of their sun protection products. My family takes sun safety very seriously and we go through a huge amount of Coppertone sunscreen throughout the year. We never enter a Disney park without a Coppertone KIDS sunstick! 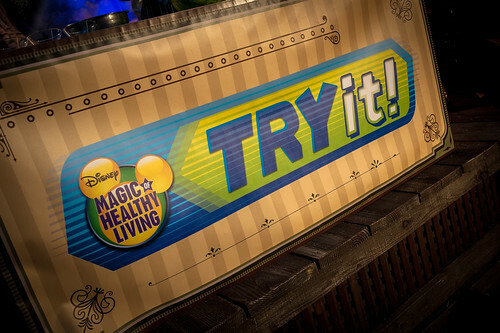 The family dinner on Thursday was sponsored by Disney Magic of Healthy Living. 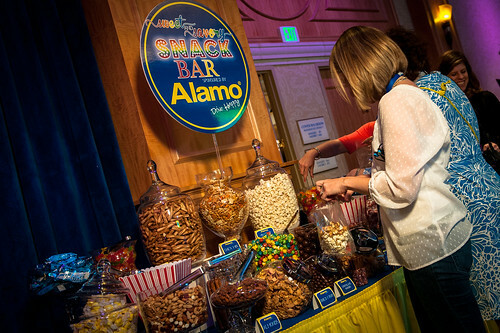 The dinner featured some yummy items from the Mickey Check program, as well as healthy snacks from Disney Consumer Products. Disney Interactive was also present at the dinner to showcase some of their latest games and apps. 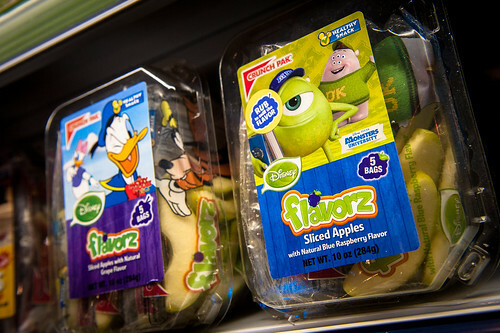 I love all the healthy Disney branded snacks I'm seeing in supermarkets these days: if slapping Mickey and Minnie on the label of a pack of apples or carrots gets kids more excited to eat the apples and carrots, I say go for it! Breakfast on Friday was sponsored by Hanes. 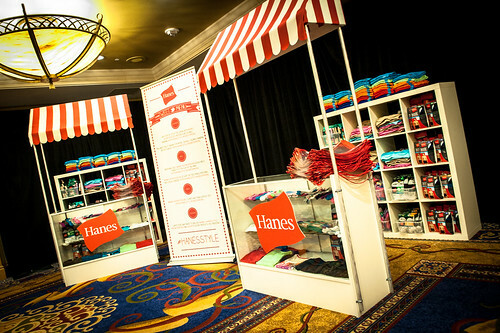 They set up a cute little storefront right outside the breakfast hall so attendees could check out all the bright colors and soft fabrics of their ComfortBlend products. 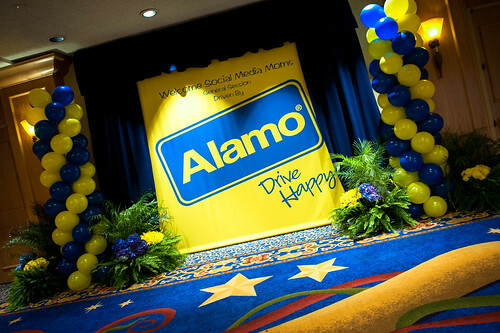 The general session on Friday was sponsored by Alamo, the official car rental company of Walt Disney World and the Disneyland Resort. We've used Alamo in the US and in the UK, and they always seem to have the best prices. We've driven to Wales, France, and Belgium in an Alamo car, and we'll probably drive an Alamo car when we take a trip to Scotland this summer! Want another example of how sweet Alamo is? 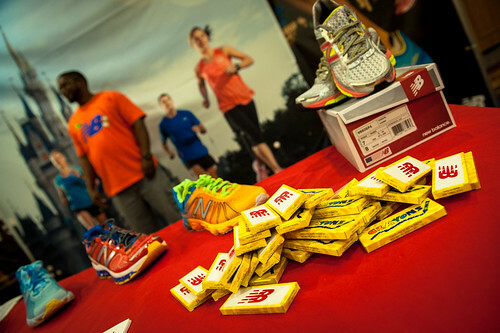 They even provided a candy bar to perk us up during that tricky afternoon period when all you want to do is nap! Breakfast on Day 2, which turned out to be a very special event launching the Give a Book, Get a Book campaign, (and where I met Reading Rainbow's LeVar Burton! ), was sponsored by Disney Junior and Disney Publishing WorldWide. The Toontown family dinner on Saturday was sponsored by GoGoSqueez -- guess what the kids chose for dessert that night instead of cake pops? Okay, they did have the cake pops, but for once, they only grabbed one cake pop instead of two, because they wanted to leave room in their tummies for all that yummy GoGoSqueez applesauce. I had no idea it came in so many flavors -- we tried Apple Grape, Apple Mandarin, Apple Banana, and Apple Mango, and their latest flavor, Gimme Five (a blend of apple, mango, strawberry, peach, and banana). Yummm... who says only little kids like applesauce? Those of us who registered for the Sunday morning fun run are especially grateful to runDisney and New Balance, the official shoe of runDisney. 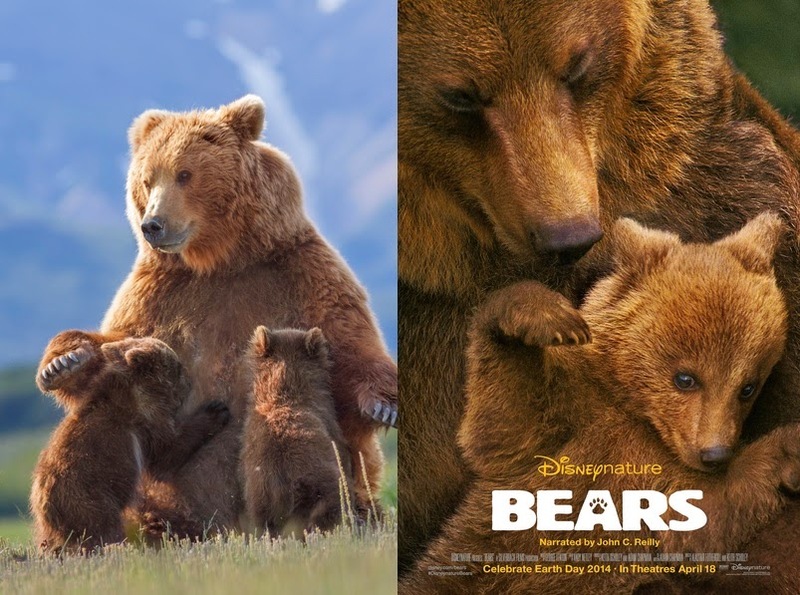 Throughout the conference there were surprises in store for attendees and their families, courtesy of Build A Bear, the Disney Store, Hollywood Records, Joffrey's Coffee and Tea Company (after last weekend, my husband's new favorite coffee company! 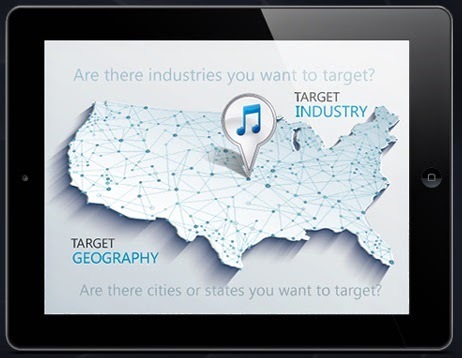 ), H2O Plus, and Disney Publishing Worldwide. 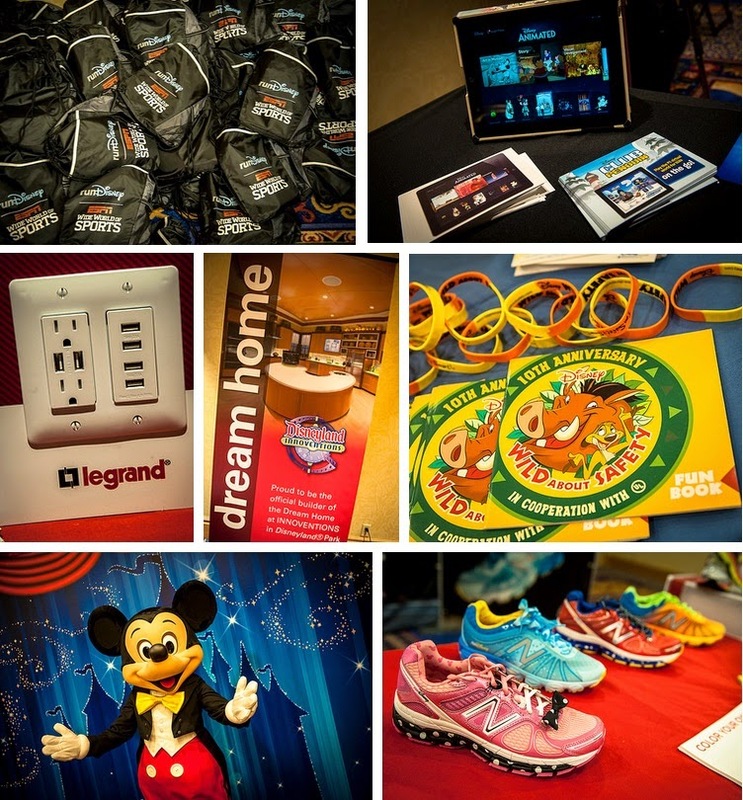 Sponsors such as Nikon, Disney Aulani, runDisney, the Disney Store, and Build A Bear even provided fabulous prizes that were raffled away to a few lucky attendees. Thank you, thank you, thank you to all the sponsors of this year's Disney Social Media Moms Celebration -- you helped make the event truly magical for me and my family! Leave a comment on this post and tell me which of the sponsors mentioned on this post you like best, and which product of theirs you buy or use. This giveaway ends at 11:59PM PST on May 4, 2014; I will draw a winner at random, on May 5 and post their name after they confirm acceptance. Continental US residents only. For additional giveaway rules, click here. 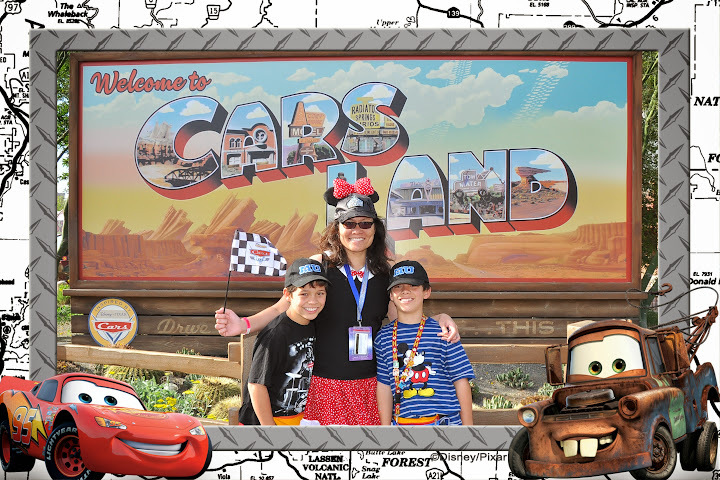 Disclosure: I was invited to attend the 2014 Disney Social Media Moms Celebration. The conference fee I paid included discounted lodging and park tickets for me and my family as well as free products from sponsors. I was not asked or required to blog about the conference or any of its sponsors. 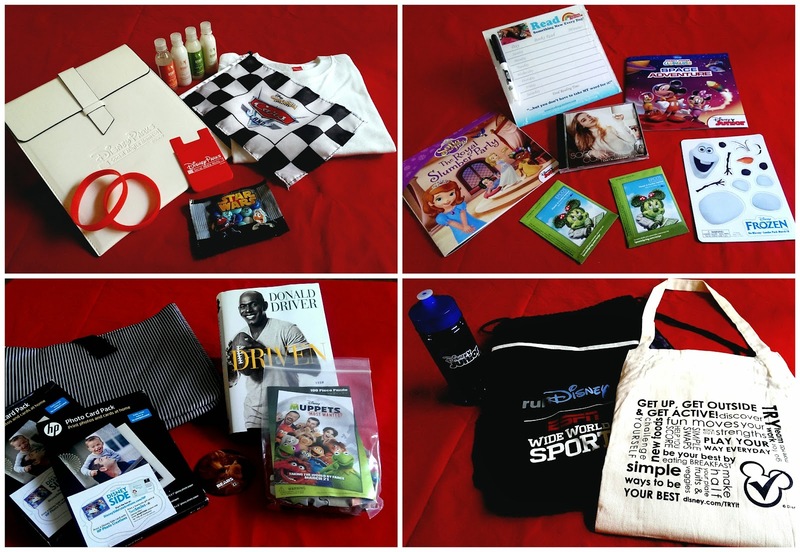 Neither Disney Social Media Moms conference organizers nor any of its sponsors are responsible for hosting this giveaway, or for prize fulfillment. Please direct all questions and comments about this giveaway to bonggamom@yahoo.com. The views and opinions expressed here are my own.